The problem? We were in NO place to be thinking about mini-retirements! That first year we had over $50,000 in debt and only earned 12k. The next year was a little better, but not by much. Still, I held on to that dream. I just turned 35, and we are currently in our 5th mini-retirement. We have taken a few short ones (month long), some medium (6 months) and this one is going on two years now. Mini-Retirements might seem almost impossible, until you understand how to plan, prepare and execute them. After that, you'll be able to sprinkle them in every few years and just maybe grow your net worth in the process! This just isn't true! Our combined income averaged between 30k-60k over the last 15 years. Without a high income, you might need to start with shorter one-month mini-retirements. But there is a LOT of really cool things you can do with an extra month off. When I was 24, I took a month off from my job to travel cross country with my best friend. It was an incredible trip! And we did it for under $2,000. All five of our mini-retirements we either negotiated off from a regular employer or walked away from traditional employment. In my free video training, I walk through the exact process to negotiate a month off from an employer, even if your company doesn't have a sabbatical program. This can be scary if you have never done it, but with a little preparation, it's totally possible! It might take you ten years to pay off your student loans, or 30 years to pay off your mortgage. If there is something you are passionate about pursuing, I don't suggest pushing that off until you turn 65. If you have a lot of credit card debt, it will be really helpful to pay that off first. It will help supercharge your savings rate and lower your monthly expenses once that bill is gone. But there is no reason you can't have an amazing month-long experience if you still have a mortgage payment. Maybe. But it doesn't have to! During two of our mini-retirements, we also bought and renovated houses. Taking that time away actually greatly increased our net worth and passive income! If you really want to increase your income and net worth, simply add some of those activities to your mini-retirement. There are no rules about what you can or can't use this time for. There are so many incredible things you could do if you had a bit of time away from the 9-5. The first step in my full Mini-Retirements Mastered course is to help you narrow down what you really want to focus on in the next mini-retirement! Which things are very time-sensitive and if you don't tackle it now, the opportunity might pass you by. There are a few things in life we just don't get second chances on. Sometimes because the timing is never right again or life just changes. We had a chance to move overseas when I was in my 20's for four years. While we were there, we traveled almost every month. I took art classes in Amsterdam and literature classes in Rome. Everything was close by and made it affordable. Because we had made financial sacrifices earlier in our marriage, we had the resources to invest in those experiences. I have known people who took time off to hike the entire Appalachian Trail or bike along the Croatian coast. In our current mini-retirement, we are traveling in a pop-up camper in the summers with our five kids. They are between two years old to ten. It just wouldn't be the same if we waited 20 years! Seeing all the US national parks has been an amazing experience and we just didn't want to miss this time with them. People often have that ONE THING they want to do. Maybe it's volunteer overseas for a year. Design and build a house with minimal help. Start a non-profit. Or adopt a sibling group from foster care. These are the things that, if we do very little else with our life, at least we can look back and say, “But I did that!” And these are the perfect things to fit into a mini-retirement! 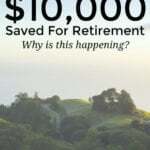 By saving an extra 10-15% of your income a year, you would have enough to take a year-long mini-retirement every decade! When we moved back to the US from Germany, the housing market had crashed and was at an all-time low. We took time off two more times to buy and renovate our primary home and then two rentals. There were other people who might have wanted to do that but didn't have the free time to make it happen. Taking those two mini-retirements actually helped us build $1,200 in passive rental income and grow our net worth. Instead of derailing our path to financial freedom, it sped it up! This last mini-retirement has been focused around family/travel and growing a creative and entrepreneurial business. We carved out this time, starting with one year as a test. We wanted to lean into our interests. Test some ideas. See if we could find a project that we were passionate about and was a perfect fit for our lifestyle. Something that would leverage our talents and really help people. If there is a business you want to grow and see if you can scale up, a mini-retirement might be exactly what you need! Of course, there are logistical challenges that scare us. You might be nervous about healthcare. Or scared that you won't be able to find another job when the time comes. It might simply be the unknown cost! How much would this month-long adventure cost? How much would it cost to start a business, or travel the world for a year? Once you decide you want to move in this direction, you will find, for every logistical challenge, there are multiple logistical solutions. Then it's just the matter of finding the courage to live a life that perfectly lines up with everything you value, are passionate about, and meets your goals. I want to dive into one of the logistical challenges that be top of mind for you. How can I afford this!?! This is the first logistical stumbling block for a lot of people. I want to show you how you can get started with any budget. Even a once-in-a-lifetime experience doesn't have to break the bank to become one of your most cherished memories in 10 or 20 years. Let's start with the idea that you negotiated a month off from your current employer or find yourself between jobs for a month. If you have been tracking your expenses and budgeting for a while, this might be an easy number to find. Maybe you spend $2,000, $3,000 or $6,000 a month. Now, this won't include any investing or savings you do. We are going to put that on hold for a month. If you want to take multiple mini-retirements like we have, simply adjust your yearly investing to cover your off times. An extra 1-3% investing a year, could cover your investing during your mini-retirements. Then subtract any extras from that baseline. Let's say you normally spend $200 a month on entertainment. If you are going to be traveling for a month, that expense would be put towards your trip entertainment. What is it you want to do with this time? I like to focus on things that could only happen in this season of life. Things that, if I waited another 10 or 20 years, the opportunity might pass me by. I'm 35 now, but the trip I did at 24 isn't something I could do again. I have five little kids at home. My best friend is now CEO of a large non-profit organization. There is simply no way we could both escape for a month long road trip! Plus, I have given up sleeping on the frozen ground or in the front seat of my Honda Civic. I'm in my thirties, I now require a mattress of some kind! Once you know what your next month-long adventure will entail, it's time to figure out the cost. As I research each cost, I add them to an Excel sheet I name my dream budget. A dream budget will serve two purposes. First, in the planning, your adventure will get better. You will refine and customize what you really want to do. Second, you will have specific prices for each piece. 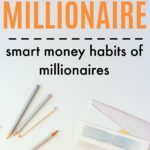 If you decide to start a side hustle to help save up for your mini-retirement, you will know exactly what your extra $100 earnings will bring you. Your extra $100 might buy three nights at a youth hostel or national park campground. $20 will pay for food for the day. $80 will pay for a yearly science museum pass for the whole family. Open up a dream budget checking account, and stash all the extra dollars in there. Each dollar is getting you closer to building that dream experience. Even $1 will buy you a scoop of gelato in Italy. Let's say you settle on a US road trip for two people. You plot it all out and come up with a dream budget of $3000 plus baseline expenses of $2500. $5500 is your total cost. If you want to do this in the next 18 months you will need to save about $300 a month between now and then. Maybe that's in your budget or maybe it's not. Then the question becomes how do I hustle for $300 a month to put towards something I really care about? Or maybe you would be willing to give up your eating out budget to make this happen? Once we narrow down exactly what the challenge is, we can start to problem solve and find solutions for that challenge. This week I will be hosting a free training on how to take a month off. I'll be teaching the three essentials to negotiate a month from an employer who doesn't typically offer that benefit. I'll also talk about how to pack a mini-retirement go bag for those unexpected opportunities. With all of this leading up to the only time this year my full Mini-Retirement Mastered course will be open. If you ever want to be able to do something like a mini-retirement, you won't want to miss it! Now is the perfect time to start laying the foundation! What do you think of mini-retirements? Do you want to take one? Back in 2009 I lost my job and was also deep in debt. I started taking my web design freelancing business seriously and never looked back. After 9 years I’m debt free, raising my kid and enjoying my semi-retirement. Sometimes it’s the unexpected (and unwanted) that gets us on the right path! Awesome to hear it worked out so well! Great post Jillian! Your Europe adventure sounds awesome. I’m early into a semi-retirement as I went part time at my job. I could possibly go back full time in the future which I guess would qualify this break as a mini-retirement, but who knows. I’m primarily doing it to grow my side-hustles/businesses. There’s simply not enough time in the day to do it when working 40+ hours a week. The extra time is liberating, and productive. I feel you on the time crunch. 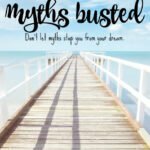 There is no way I could do my blog/business, raise my kids and work 40+ hours. It’s awesome that you are able to carve out a bit of time to work on things you are passionate about! I’m so happy to see part of Jillian’s story here! It’s so inspiring. As a teacher, I’m in a unique position to have mini-retirement built into each year. The trick is to actually make it a priority to take time off this summer. I’m on winter break now, but I worked the first week of it at least two hours a day, including Christmas afternoon. I’m definitely talking with my husband about how we can get better about this. There’s so much research about the value of breaks, and as a society, we are really good at filling up all of our days. Jillian’s story is such an important reminder to slow down and prioritize your time! It’s really hard for me to unplug and rest as well! Even when we don’t have full-time jobs, I like to keep things as a fast pace. Traveling with the kids is really my best downtime. It’s full engagement for me, and has to be a slow pace. Or when we go camping/hiking. =) Even during this mini-retirement we carve out days to go to the hot springs or stay at a hotel to really unwind. I will be the first to admit and confess how true this post is. There are definitely moments in my distant past where I regret that I passed up an opportunity to experience moments with friends/family. Those are moments I will never be able to do again, and for that I will be focusing in 2018 on how make sure I don’t miss those moment again. I focus a lot of my time on money, budgeting, investing, and making sure we are planning for our future. My biggest test is making sure I don’t miss the wonderful opportunities that present themselves everyday in my life, and grasp them when they come. It takes some intention to take advantage of those little opportunities. It took me a LONG time to learn how to be present and quickly pivot so I could show up for a cool memory. Best of luck on this is 2018! This is a fantastic article, and so approrpite to so many people who are trapped doing what other people have told them they “must do”, living an unstaisfactory life living how others say the “must live” and watching their dreams die a slow, lingering death as time marches on. The time is NOW, boys and girls. Thanks so much Dave! It’s a hard transition for a lot of people from hustling to paying off debt, hustling to grow some investments to actually creating a life they love living. Sometimes it just feels easier to keep our heads down and hustle. I work with a lot of people one-on-one who have built up some good financial security, but stay the course in a life they hate. Awesome post Jillian, glad to see there are always people that aren’t willing to put their lives on hold. The time for everything you want to accomplish professionally and personally, is always right now! Thanks Paul! It’s more possible than most people think. Sometimes we stay in the “stuck” mentality far longer than we need to. I always try to encourage people to pause for a minute, look around and try to find a way to get their life to be more fulfilling and meaningful right now. Jillian, I just found you through the Adventure Rich article, loved your work and signed up to your list, and then came over here and found you here as well! Like one of the other commenters, I’m a teacher, but in New Zealand, so our long holidays are six weeks (which is still a great break). As I’ve become more and more motivated to blog full-time, I structure my holiday days how I would on my dream “work at home” days and I enjoy that so much it is even more motivating. 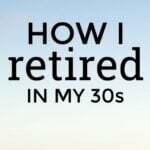 Reading this post has made me realize that I’m actually in the middle of a mini-retirement! My husband is in the military and we just moved across the country and I took a leave of absence from the company I work for to prepare for and then physically move our family from Nebraska to Texas. However, now that I’m here, I’ve been thinking about how awesome it has been to spend more time with my family. We have decided that since our budget can handle it and we have almost no debt, my working part-time is a great balance for us right now. I’m excited to finally have time to do things with my family and have a little more time to focus on me! That is so cool! We took one mini-retirement after my husband left the military for about 9 months. We ended up buying and renovating two homes before he went back to work! =) It’s amazing how a little bit of financial freedom can give us so many options! Yes! We are wanting to take a sabbatical year after he retires to travel around and visit National Parks! Though renovating houses sounds like fun too! We did quite a few renovations on our house in Nebraska and selling it has contributed to our current financial freedom. I love seeing your story here and all of your support! My husband is wrapping up a month long mini retirement, spent mostly at home focused on his health before starting a new job. 2018 is my turn! That is awesome Mrs. Kiwi! I’m excited to see what you do with your time. =) And the pf community is the best! Thanks for sharing Jillian. At 35 years of age, you seem to be way ahead of your peers not just living life in general but also in knowledge. I like your mini-retirement idea. Living a balanced life is always the key to living one’s life and I am also an advocate of retiring young for as long as you feel you are ready. In fact, I just posted an article on my blog about living your life now and not to wait until retirement before you start doing the things you love to do. Yes, it’s so important not to push the most important parts of our life off until “later” when later might too do late to really do the things we want, or it might not come at all. Having your own business is being retired for life from the traditional day job work scene. That’s such a beautiful feeling when you have your own business and don’t have to worry about working paycheck to paycheck for a narcissist employer. Narcissist employers who think they can enslave certain employees are wrong. It’s such a beautiful feeling having your own business and not having to worry about getting up in the morning and going to work for an unthankful narcissist employer who seeks to do nothing more then enslave your mind and body into working for them until it’s time for you to retire, leaving you broke and only with a few dollars in your 401K pension. This is why it’s important to get started now and start your own business so you don’t have to worry about how your financial future and retirement is going to look later down the road. It’s wonderful when people are able to create work they love, that makes a difference and creates the lifestyle and financial freedom they want! It’s something work putting in the work and effort to find and then build, for sure. That is so awesome! It’s wonderful when we can find work we love and gives us the flexibility to create a great lifestyle. I grew up around wheat and cattle and loved the rhythms of that life and the seasons. That is awesome! I love working but I’m not sure I was cut out for most 9-5 jobs. It’s awesome when we find something that is a great fit. Congrats! I love this! I think it’s so important to take time off the daily grind. I also feel like now, in my mid-30s, my body is still strong enough to hike, bike, scuba dive, swim. If I waited until I was 65 to retire and travel, I wouldn’t be able to do such physically vigorous activities. We really have to enjoy the bodies we are in while they work! My dream is to be able to have a low cost living situation so I don’t have to work very much, and when I do work, it’s something I love. That is such a good point! PLus our preferences change. For example, I use to sleep on the ground tent camping in my 20’s. In my 30’s? Nope! We use a pop-up camper now with a mattress. =) In my 40’s, I might not like that anymore. I’m 35 now and am using this mini-retirement to get in the “best shape of my life.” I’m trying to beat all the physical benchmarks from my teens and 20’s to create a strong foundation going into my 40’s and 50’s. I love this! This is what I’m working toward being able to do. Unfortunately, I’m in a position that doesn’t allow for long term time off. But I love the idea for people in different professions! Being able to have flexibility is something we really focus us now when we take on work. We have more financial freedom than when we started so we can be a bit pickier. Good luck as you keep moving in that direction! I deployed as a Naval Reservist for a year in 2016, does that count as a mini retirement?! This is an amazing concept that I’m certain many, including the early retirement crowd, haven’t considered. For me personally, I would probably struggle with the idea of GOING BACK to working after taking an extended period off. And having been in a career for as long as I have, sometimes you land in a “good enough” situation with a great boss, good culture – making it difficult to walk away and hope to come back to “as good as” that situation. Just my two cents! I do think your strategy is a good fit for many though – very innovative! I think a mini-retirement is a bit less overwhelming than early retirement. It’s kind of hard to plan and be responsible for the next 30-60 years of your life! The short ones were easy for us to come back from. We felt rested and ready to settle into our routine again. This one has been two years and we don’t need the money to go back to work. I’m just at the point where a 9-5 seems like a nice idea (with a great fit!). But we are opting to find various side projects to provide the benefits of a job without some of the downsides of traditional employment. While there are a lot of awesome things about early retirement, there are some very real downsides. And not everyone thrives. This is a nice way to test the water for a year or two and then pick a great fit. I love the idea of taking a mini-retirement. I have a friend who took a 6 month sabbatical. She said it changed her life and totally recharged her spirit. My fear is that I would not want to go back to work. Mini-retirements can be an amazing way to get refreshed, refocused and start on a better path. And you might not want to go back to the same job or even same profession. We often see better options once we are rested and have a chance to catch our breath. You might something you are really excited about and is a much better fit for your life! Good work, Jillian! I wish I could have taken the free training on how to take a month off. Love the way you broke down how and why a mini-retirement works so simply. Exactly the steps I’ve taken in planning my mini-retirement this year.